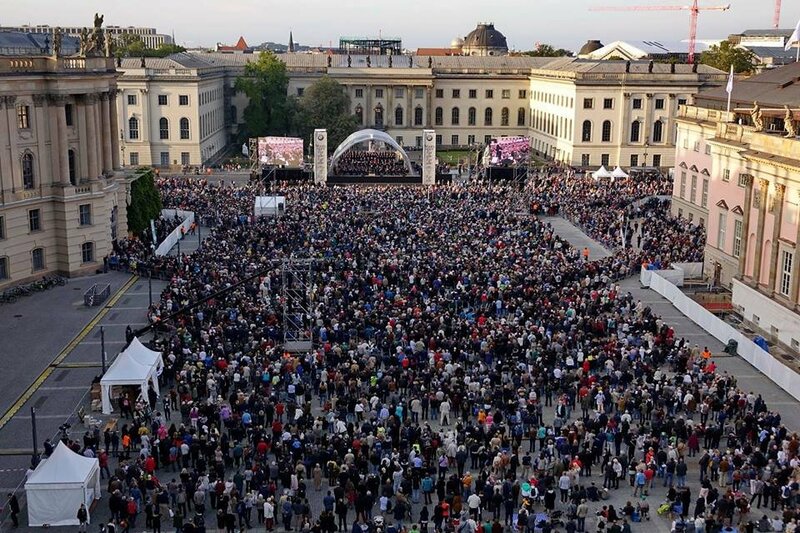 In 2018, STAATSOPER FOR ALL will take place for the twelfth time and for the first time since 2012 it will be a weekend in the »classical« format: with an open-air concert and an opera live broadcast on Bebelplatz in a unique setting in the historic center of Berlin. Admission is free as usual. STATE OPERATOR FOR EVERYONE thanks to the BMW branch Berlin. Daniel Barenboim, with Placido Domingo in the title role, and Anna Netrebko as Lady Macbeth in a transmission on the LED screen on Bebelplatz.